My kids had a lot of fun constructing their own stable. We've built quite a few forts but I liked how they used a building method that they hadn't used before for building the stable. We turned on some Christmas music to listen to as they built, and once it was finished we found lights so they could read books inside. They stayed in and played for hours! 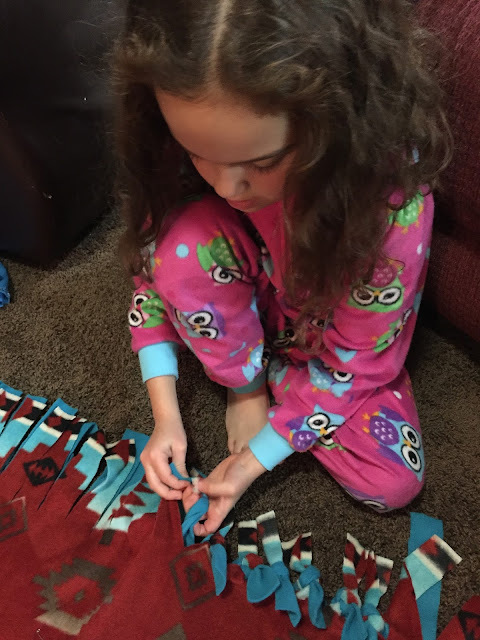 I appreciated this fun idea that put a meaningful Christmas spin on a regular activity. We read John 10:27 and then read "What Can I Give Him?" as a poem (without the music). We discussed ways we can give our heart to the Savior. Ideas that were mentioned during our discussion were, serving others, keeping the commandments, honoring our Father and Mother; etc. Together we tied a no-sew fleece blanket to give a member of our local church congregation in need of some kindness this Christmas. It was a great activity for the older and younger children to do...everyone could tie a knot! I have three boys, ages 7, 5, and 3, who are energetic and have attention spans like fruit flies. We kept our shepherd activities short and sweet, but they had a lot of fun and are still talking about what we learned on family night. We talked about what shepherds do, and how they get to know their sheep--individually. 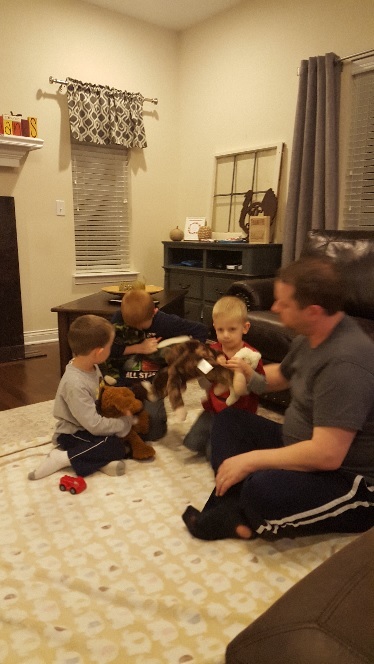 My husband brought a bunch of their stuffed animals downstairs and the boys could each easily pick out which ones belonged to them--they knew because they love them and spend time with them. We made a connection with how Jesus knows and loves us each individually, and how we come to know Him by reading His words and living like He lived. 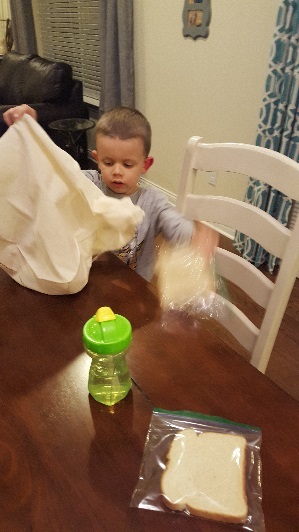 Next, we headed over to the kitchen table where I had laid out reusable canvas shopping totes, bread, water, and candy cane ornaments. We didn't bother covering the ornaments with anything because we're lazy like that, and if I were on my A-game I would have tied in how candy canes are a symbol of the shepherd's crook, but the boys were happy with their makeshift crooks. We explained we would have a shepherds' picnic, and that the shepherds ate simple meals while watching over their flocks. 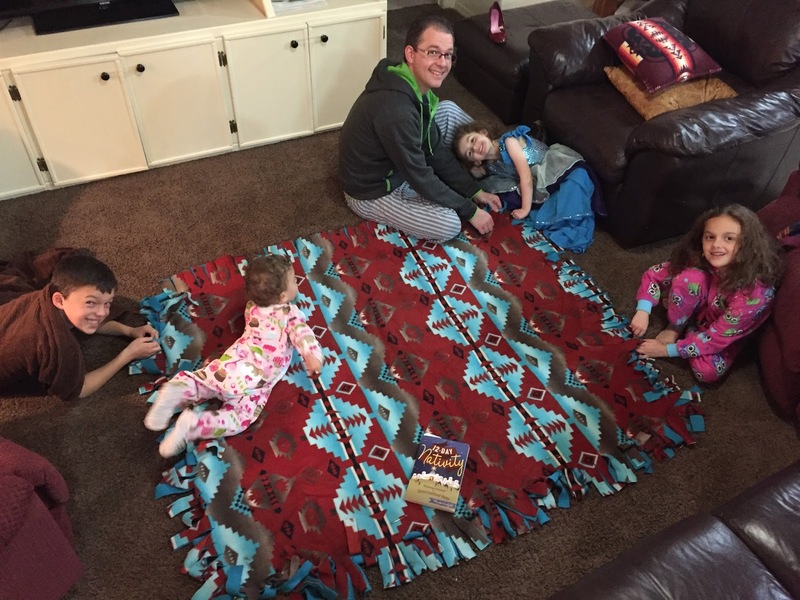 The boys then each packed a bag and we spread a blanket on the floor for a picnic. We let the sheep (the stuffed animals from before) "graze" on the edge of the rug, and the boys had to keep an eye on them while they ate. We talked about how shepherds had to drop everything they were doing to go after lost sheep, and how we can do the same with our willingness to follow Christ. My husband randomly scattered the sheep, and the boys had to go after them and bring them back to the fold with their crooks. This was a scream! They watched vigilantly, and even teamed up to help one another. 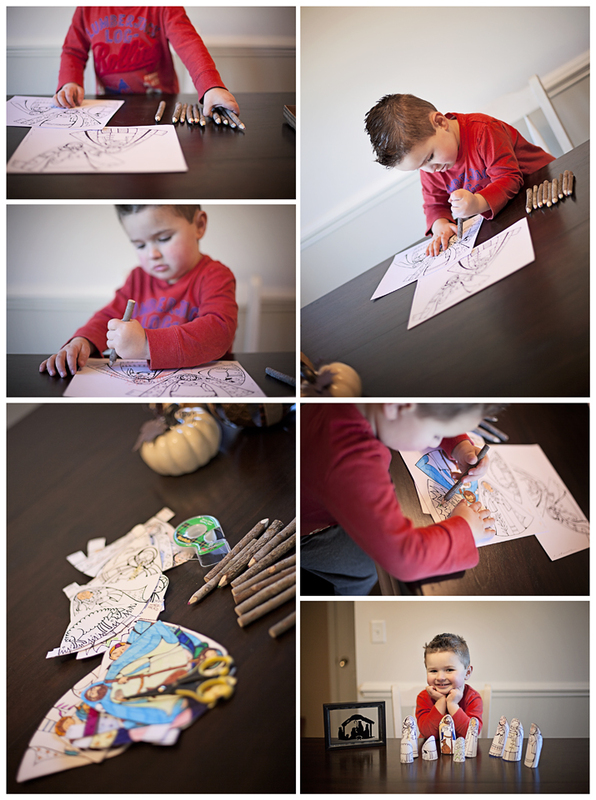 I loved how I could adapt the activities from the book to fit my boys' needs. 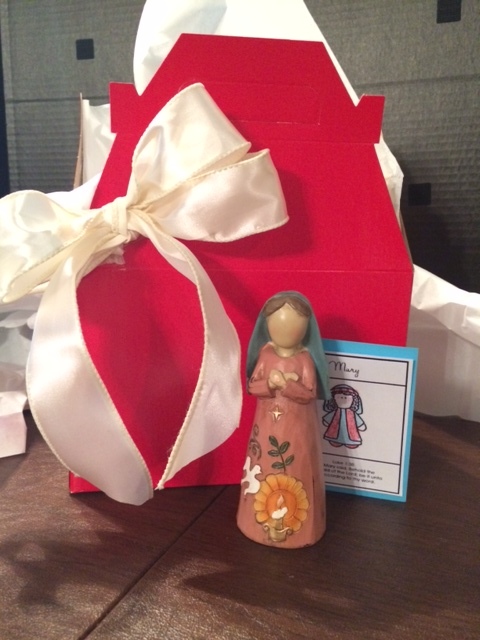 We're excited to make The Twelve Day Nativity part of our Christmas traditions. Thanks for this experience--we loved the spirit it brought to our home! It is a tradition for our family to have a red breakfast on Dec 1st. Now that the kids have school and the mornings are super crazy, we have our special breakfast for dinner. But we still make a big breakfast and go all out even if it's dinner time. We use special red plates, decorate with red decorations, get red juice etc. We talk about the color red and how it is significant as one of the Christmas colors. It has been a good way to start off the Christmas season and remember what we are really celebrating. So the Day 12: Baby Jesus activities fit perfectly and helped to enhance our red breakfast. We read the scriptures and the little devotional included in this section of the book. Then we talked about what we should get for Jesus this Christmas. It was really neat to have the kids stop and really think about this concept and to hear the kids ideas of what they thought the Savior would want for Christmas. Some of the ideas were helping to bring peace on Earth by being kind to others, being more patient with each other so it would be easier to feel the Spirit in our home, teaching others about Jesus, help sad people feel happy etc. We made a list of everyone's ideas and then each picked one that we would work on during the month of December and give to Jesus for Christmas this year. 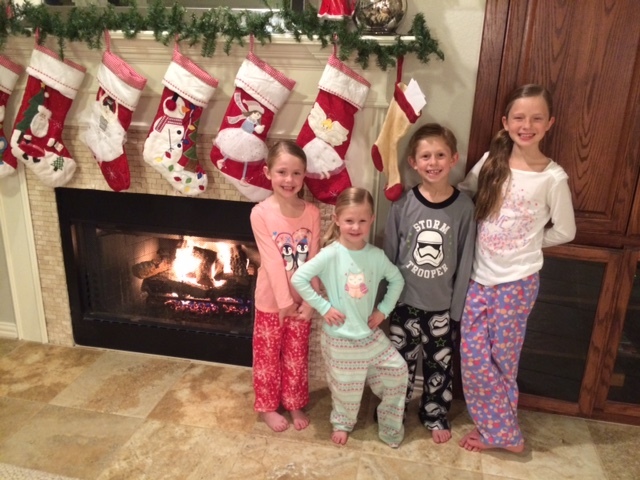 Then each of the kids wrote a letter to Jesus about their "Gifts for Him" and we put it in a special stocking and hung on the fireplace as a reminder. 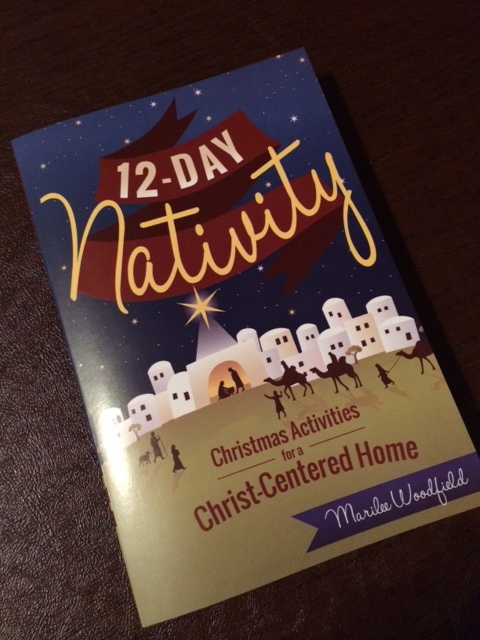 It was such a great start to the season and I can't wait to try more ideas from 12-Day Nativity to help keep Christ, centered in our home this Christmas Season. I cant tell you how awesome this activity was! It was such a neat experience for our family and I am excited to make it a permanent tradition!! Thanks so much!! Matt and I do an advent each year starting on Dec 1st. 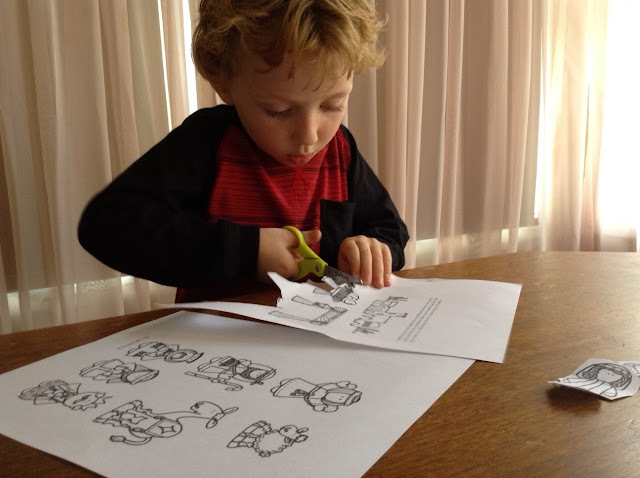 We open up one envelope that has a small family activity or service idea for each day. I love these ideas from your book. Its going to give us some more ideas to switch things up every year. I also think it would be fun to wrap up each piece of the nativity, starting 12 days before, and include it in the advent we have, so we can build our manger together. I can't tell you how much I love that you shared your awesome ideas with us all, through your book. 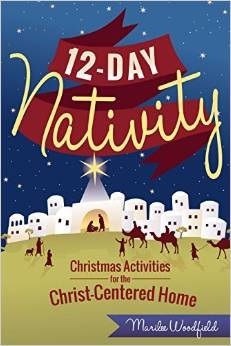 The 12-day Nativity isn't just a great resource for families, but also for faith-based school programs! **devotionals that tell of how each character in the Nativity Story is a symbol of Christ and thoughts of how we can be more like the Savior by adopting the attributes of each one. **use one of the advent ideas to help focus on the Savior every day leading up to Christmas! 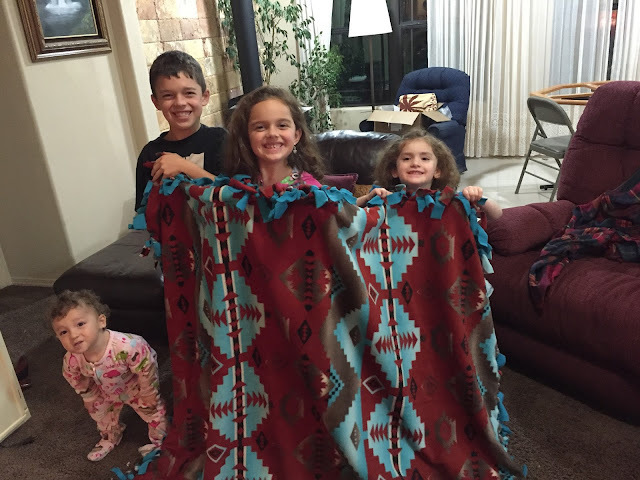 So many fun ideas to supplement your Christmas lessons or program! Looking for a unique Christmas gift for a friend, neighbor, teacher, or co-worker ? Something that will be a real treasure they can keep from year to year? Something that will help them celebrate the Savior not only this year, but next and the next and....? Why not surprise them with the 12-Day Nativity, and a nativity set - given one piece a day for the 12 days leading up to Christmas? Every year our church congregation turns a large space, hundreds of tables and miles of fabric, lights and garland to display hundreds of nativities. The nativities range from exotic sets from around the world to simple creations. I love them all-- in fact so much that this event was the beginning of my nativity collection creation. I had a handful before this event, but seeing the many different interpretations and testimonies expressed in each one has been such a blessing. All the nativities are stacked on boxes. It's like a tetris game trying to find the right box to fit the right space. Sometimes things don't go well. Set up is always more fun with a good friend. Amazing, and what a blessing to be a part of this every year.